Join us for a fascinating insight into the world-class cancer research supported by Cancer Research UK in Manchester. Hear from Professor Martin Humphries about his pioneering research into cell adhesion and pancreatic cancer, get hands-on with our science at our interactive stalls, find out how you can support Cancer Research UK and discover how Manchester is leading the way in cancer research. 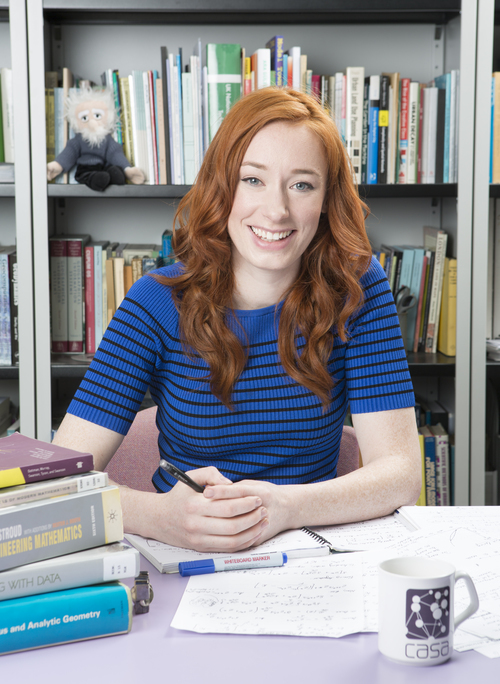 The School of Mathematics is pleased announce that Dr. Hannah Fry will be presenting at the 2016 Kathleen Ollerenshaw Lecture. The annual lecture, open to students, staff and the public, takes place on Thursday 13 October 2016, 6.30-7.30pm (with coffee and registration from 6pm) in Lecture Theatre B, University Place. We all like to think of ourselves as strong, independent and single-minded individuals. But despite our illusion of free will, despite the seemingly random sets of circumstances that bring about our decisions, our behaviour as humans is surprisingly easy to predict. The more we use technology, the more we leave behind a data footprint of our actions in almost everything that we do. These traces of human behaviour are captured in the numbers and reveal surprisingly simple mathematical patterns that unite us all. Patterns that can predict our behaviour and have the potential to shape the way we view our societies and cities. But new, big data also comes with new, big problems and there’s a reason why – despite the data deluge – we seem as ill-informed as ever. 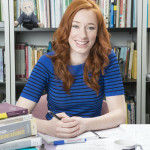 Join Dr. Hannah Fry, Lecturer in the Mathematics of Cities at the Centre for Advanced Spatial Analysis at University College London and regular on TV and YouTube, as she charts the highs and lows of our relationship with data, revealing the delightful insights the numbers can offer and demonstrating how often they can be downright misleading! School of Mathematics, Faculty of Science & Engineering, The University of Manchester. CITIZEN SCIENTISTS: ANARCHY AMONG THE ENGINEERS! Can you deliver a successful engineering project by crowdfunding? Will citizen data scientists help astrophysicists study the dawn of time? We are delighted to invite you to this year’s Cockcroft Rutherford Lecture – the flagship event for friends and alumni of The University of Manchester, which will be held on Thursday 26 May 2016. This year the lecture will be delivered by alumna and Professor of Radio Frequency Engineering at The University of Manchester, Danielle George. She will discuss the role of citizens in engineering projects, large and small and will ask everyone in the audience to participate in a project of her own! Professor George was described by the Guardian as one of 2014’s heroes in science. She has delivered the hugely prestigious Royal Institution 2014 Christmas Lecture and more recently presented at the acclaimed TEDGlobal Conference. She is involved in the Square Kilometre Array (SKA), the world’s largest ever radio telescope, which is made up of an array of thousands of dishes spread out in remote areas across the planet and headquartered at The University of Manchester’s Jodrell Bank. Professor George is the UK lead for amplifiers for the Atacama Large Millimeter Array telescope, and has also worked with NASA and the European Space Agency on the development of instrumentation for researchers exploring the Big Bang. She is passionate about raising public awareness of the positive impact engineering has on all aspects of our everyday lives. The lecture will start at 6pm and will be held in University Place, The University of Manchester, Oxford Road, M13 9PL. Professor Dame Nancy Rothwell, President and Vice Chancellor of The University of Manchester, will chair the lecture, which will be followed by questions and answers. The Humanitarian and Conflict Response Institute (HCRI) is pleased to invite you to the annual public Tri-Institute lecture, in conjunction with the Institute for Development and Policy Management (IDPM) and the Brookes World Poverty Institute. This year’s event features speakers working at the forefront of the current Ebola Response in West Africa. It brings together anthropologists, medical doctors and humanitarian workers to critically reflect on progress to date and what more can be done. You can find the full event details at the University of Manchester events webpage. The event will be livestreamed and we will be encouraging Twitter engagement throughout the event. Ryland’s Breakfasts are our café series of debates addressing important sustainability issues in an interesting and thought provoking way. Each speaker will give a 5 minute provocation followed by an opportunity for the audience to engage. We look forward to seeing you. Waterworld? An abysmal movie by Kevin ‘wolfdancer’ Costner or the agenda we should all be waking up to? What’s the big picture on water and in our concentration on carbon has the sustainability movement taken it’s eye off that most elemental subject, the water in our rivers, taps and bathtubs? From drought, to flooding, to global water wars, what’s the critical agenda on water and if the Manchester City Region had to draw up a five point policy for water, what should it include? IOP Public Lecture – Graphene: Materials in the Flatland: Why all the fuss? What’s the matter? Invitation to a public Lecture given by Professor Sir Konstantin Novoselov, Hon FInstP, Joint 2010 Nobel prize-winner “for ground-breaking experiments regarding the material graphene. Graphene: Materials in the Flatland: Why all the fuss? What’s the matter? Furthermore, over the last few years novel methods of mass production of graphene have appeared, making the prospect of it being used in everyday applications very promising. It is not surprising that industry is excited by graphene’s technological potential. Prof. Sir Konstantin Novoselov, recipient of one of IOP’s highest awards, Honorary Fellowship, will talk about the work that led to the discovery of graphene, what makes it so special, its current applications and what the future holds for this remarkable material. The lecture is free to attend and is open to all, physicists and non-physicists alike. Places are limited, so anyone wishing to attend, please register online here. On Thursday 28 March between 4-8.30pm, Manchester Museum will play host to a TEDx event. TED is a non-profit organization devoted to ‘ideas worth sharing’. TEDx is an independently organised TED event linked to a specific location, in this case The University of Manchester. Speakers include Professor Clive Agnew, Shahbaz Hussain, Elliot Woods, Professor Julian Dodd and Nancy Elizabeth. For several years Jo worked with eminent British Whippet breeders, photographing their dogs by bloodline, exploring their quest for the perfect dog. In this illustrated talk, Jo will discuss the making of The Refusal, the resulting body of work which foregrounds the intimate relationship between human and dog. Her works include photographs, stereoscopic installations and projections, video and performance. This talk is linked to our Breed: The British & their Dogs exhibition. Price: Book on 0161 275 2648, free, adults. Jo Longhurst is currently on the shortlist for the Grange International photography prize, which is the only art prize which is only voted for by the public. You can find out more at the Grange Prize here. Find out more about the Manchester Museum here. The Story of Carbon in England – Nobel Prize winner Professor Kostya Novoselov, will talk about the illegal trade in graphite. The Manchester Signature Lecture Series showcases the talent, innovation, and knowledge of the University to a diverse audience, serving as a public face of a broad and liberal University by engaging students, staff, alumni and the local community in the work of the University.